Hi, there! I’m Tipper Allen, and guess what? 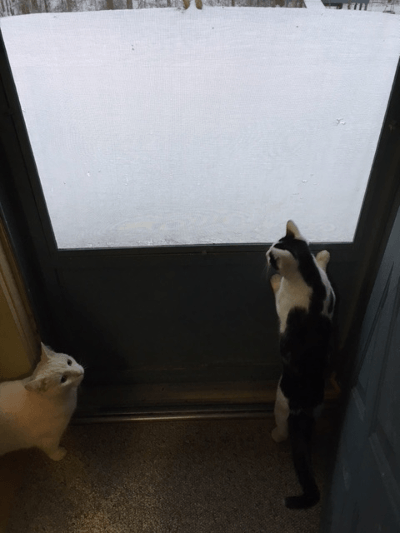 Dis white stuff! Is white, like you. Is it soft and warm, like you? Sure. Sneak out and see for yourself. So she did. Momma wasn’t there, so there’s no picture. Poppa said Chickie darted out, hit the snow, and stopped on a dime, whatever a dime is. Then she started eating the snow! So she didn’t get my joke. So I just said, “They don’t make snow like they used to,” and went and took a nap. 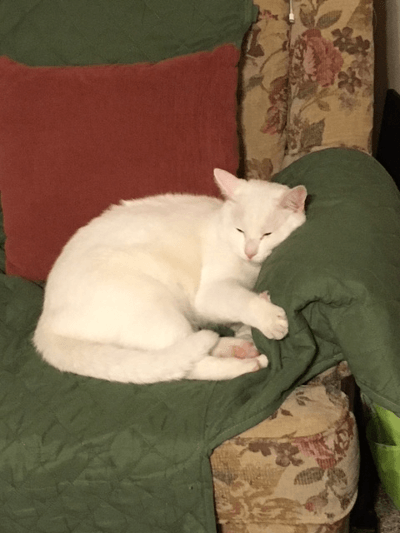 A WRITING PROMPT FOR ANIMALS: Have you ever been outside in the snow? Old man Tipper is a funny guy. 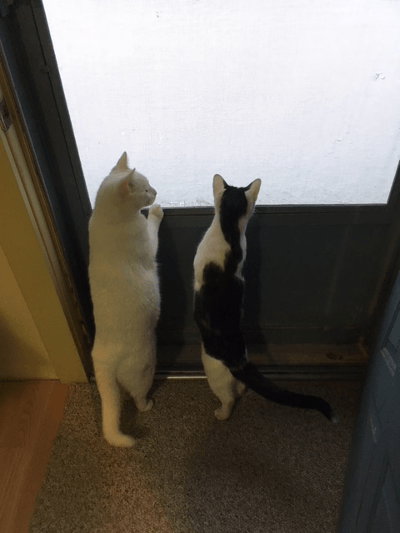 They look so cute together at the door. Soooo cute! 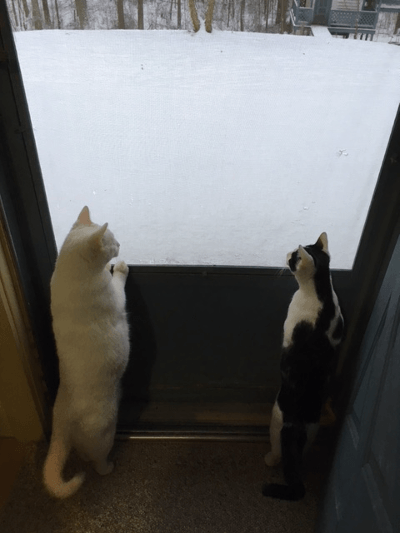 Oh my goodness, is the snow warm and soft like you? Precious! 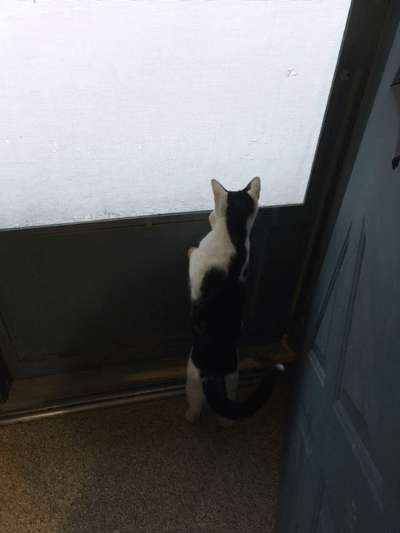 For years we have teased about throwing Catticus into the snow, because he’ll cry at the door like he doesn’t know it’s 10 degrees out and he is a desert animal. We’ve never done it, but we do talk about it. Then last weekend, Cletus couldn’t bear the curiosity and I thought he’d come right back in, but he didn’t. He jumped into a big ol pile of snow and went off to explore. The dog was NOT happy until Cletus was back in. He was out there longer than I would ever guess a cat would like to be! Mom’s cat loved the cold until she got to be an elder. She used to be an indoor/outdoor cat until Grandpa had to know where she was every second, and got fretful if she wasn’t inside.